Welcome to the Oxford Libraries Graduate Trainee Programme Blog! This blog exists to capture some of the experiences of current trainees, and features guest posts from ex-trainees and trainees’ colleagues. Currently managed by the 2018/19 trainee cohort, this blog is a space for recording our experiences, sharing what we do in our individual libraries and commenting on library and information current issues. The traineeship is intended to offer one year’s practical experience of library work for those wishing to embark on a postgraduate qualification as a librarian or information professional. This is worthwhile as not only is it a requirement of most courses that you have some experience in a library/information environment, but it also helps you be certain that it’s what you want to do, before you invest time and money in postgraduate study. Oxford offers more trainee placements than any other university, which has advantages both professionally and socially; there are plenty of opportunities to find out about work in the various libraries and lots of potential new friendships. The Oxford Libraries Graduate Trainee programme follows the SCONUL (Society of College, National and University Libraries) Code of Practice, which means that the trainees work in a library whilst following a formal training programme. Throughout this blog you can read the views of the current trainees on working in a library environment, weekly training sessions and applications to library school. Independent of the formal trainee sessions, Oxford University also offers a good selection of training courses and workshops such as computing workshops. Additionally the library service runs courses throughout the year for all staff, which you will usually be allowed to attend. If you make the most of the wide range of events and courses it should mean that you leave Oxford having learnt some valuable skills and with a broad view of the profession, which will make you an even more attractive candidate to both universities and potential employers. Further information about the traineeship can be found on the traineeship section of the Bodleian Libraries website. The Graduate Library Trainee scheme usually offers around 12 placements each year within the Bodleian Libraries in one of three subject areas: Humanities, Science and Social Sciences. Placements are offered within faculty or subject libraries as well as within the main Bodleian Library. 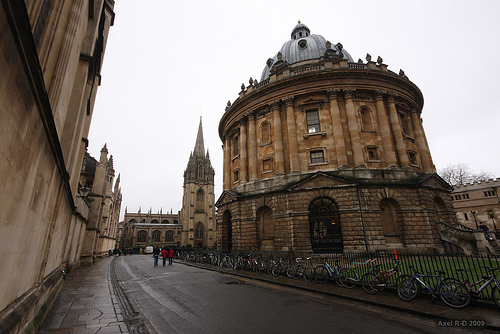 A number of college libraries and the Oxford Union Library advertise separately. The trainee posts are open to graduates of any age who intend to undertake a postgraduate library/information course in order to pursue a career in library and information studies (LIS)/ library and information management (LIM). Vacancies for the 2019/20 programme will be advertised on the University of Oxford jobs page and in the CILIP Graduate Trainee Opportunity Directory. Please note these vacancies are for posts within the Bodleian Libraries only, and that details of positions within colleges libraries are advertised by the individual colleges on their websites and in the CILIP Graduate Trainee Opportunity Directory. Further information on the application procedure for prospective applicants can be found on the traineeship section of the Bodleian Libraries website. For more details about the application process (deadlines, interview dates etc.) please go to the Bodleian Libraries Graduate Trainee Scheme FAQs page. A unique feature of the Oxford scheme is the series of sessions set up for the trainees on Wednesday afternoons run by the Bodleian Libraries Staff Development Team. The aim is to give you a broader insight into some of the issues surrounding librarianship, and also to provide you with extra training and skills that will be of benefit to you in the future, whether in Oxford or elsewhere. The sessions have been developed in line with the SCONUL code of practice. In addition to sessions with outside speakers, IT skills training and off-site visits, some sessions are devoted to supporting the trainee experience. Thus, the first term began this year with an introductory session, giving the trainees an opportunity to get to know one another and to discuss their hopes and fears for the forthcoming year. It is an excellent opportunity to meet librarians from across the Bodleian Libraries, and to catch up with other trainees. The latest advert says that candidates already holding a Library qualification are not eligible. I suppose, though, already holding a Masters (postgraduate degree) in another area is no drawback? Having a Masters in another subject is not a drawback and you would be eligible to apply. Some of our trainees have been qualified to PhD level. I was wondering if trainee posts will be running for the year 2015- 2016? Yes, we will be recruiting for 2015-16. We will be advertising via CILIP some time soon. I would like to know if it is possible for me to apply to the GT Programme, even though I am a Post Gruduate? I am hoping to update my information and library knowledge and skills, to pursue an information and library career. 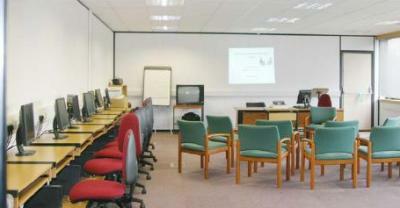 I previously graduated with an Hons Degree in Modern European Studies, from The University of West London, (1990). I subsequently completed a PG Dip Lib, from Liverpool John Moores University, in (1993). I then gained experience as an assistant librarian mainly in charities, public and college libraries. But by the late 1990’s I found it became very difficult to find a permanent full time professional post. I then worked as a support worker in learning disability, and older persons care settings, before completing a Higher Education Diploma in Health Studies. Over the last three years, I have gained experience in cover teaching assistant in primary and pre school settings. I also have recent experience volunteering in my local public library, and working in a retail setting. From my experience I know I have patience working in people settings, and an interest in supporting children and young people with their learning, as well as demonstrating, attention to detail and intellectual curiosity. Thanks for your message. The graduate trainee scheme is for people who think they would like to pursue a career in libraries or information and enables them to gain a year’s experience before considering postgraduate courses in librarianship (or a similar subject). As you already have a postgraduate qualification in library studies from LJMU, you would not be eligible for the scheme I’m afraid. It would probably be a good idea for you to contact CILIP to see what advice they can offer: http://www.cilip.org.uk regarding updating your skills and a career in libraries. I was wondering if you offer a trainee programme for graduates hoping to pursue a career in Archive and Record Management in particular in addition to Library and Information Studies? Nice to hear from you. I’ll send you an email separately. Hello – we are about to recruit a librarian for our Sixth Form. Could someone contact me (m.fordham@wlfs.org) to let me know if there’s a way of getting in touch with trainee librarians. I’ll send you a separate email about this. I’m also starting in 2016/17 on a graduate traineeship at the Codrington; could you possibly forward me any information with regards to accommodation? I would like to know if it’s still possible to apply for the Digital Archivist Trainee programme starting in september 2017. I’m afraid we are no longer accepting applications for this post.